NYU Wireless has developed what is thought to be the world’s first commercial emulator for 5G millimeter wave (mm-Wave) systems. The emulator differs from the existing paradigm because it performs not only the emulation of the wireless channel, but also of the beamforming antenna arrays on both the transmitter and receiver devices under test (TX and RX DUTs). Traditional channel emulators for existing 4G systems connect TX and RX DUTs with the emulator over RF using one cable per antenna element. However, cables cannot be connected to mm-Wave phased-array antenna elements operating at an order of magnitude higher than 4G systems. The sheer number of antenna elements and increased gigahertz of bandwidth under which mm-Wave systems operate will require prohibitive frequency stitching. To mitigate costs while handling computational complexity, NYU wireless developed a new 5G mmWave emulator with a patented technology to combine the emulation of the wireless channel with the emulation of the multi-antenna beamformers on both the TX and RX DUTs. 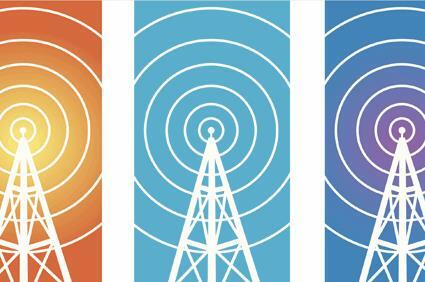 "The TX and RX DUTs share their instantaneous beamforming vectors with the emulator, so that the beamforming operations can be emulated," explains Aditya Dhananjay, post-doctoral fellow at NYU, in an article appearing in RCR Wireless. "The TX DUT sends the emulator the pre-beamformed signal as opposed to the post-beamformed signal vector. Symmetrically, the emulator sends the RX DUT the post-beamformed signal as opposed to the output pre-beamformed signal vector." In addition, the emulator will allow NYU Wireless researchers to test experimental phased-array designs, and move from lab simulations, and eventually be applied in upcoming 5G mmWave wireless networks. NYU's new emulator was made possible through a $1 million hardware and software donation from National Instruments (NI), a founding sponsor of the wireless center in 2012. NYU Wireless is a pioneer in mm-Wave technology, one of many competing 5G standards. Among its accomplishments during its first five years include the launch of the first open-access mm-Wave channel simulator software (NYUSIM), and the conduct of the first studies of mm-Wave spectrum use in both urban centers and rural areas. Research conducted at the center formed the basis for the Federal Communications Commission's Spectrum Frontiers Proposal (SFP), which frees up new bandwidth in the underutilized high-band spectrum. NYU Wireless also was the first to receive an experimental program 5G license from the FCC.